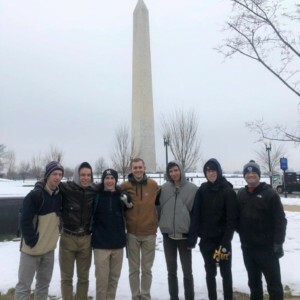 More than 300 Lasallian students from 14 ministries, along with educators/chaperones, traveled to Washington, D.C., to attend the 46th annual March for Life on January 18, 2019, with 71 attendees from four schools also participating in the youth Mass and rally at the Capital One Arena on January 17. 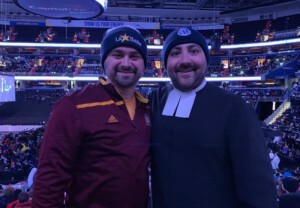 Ministries in attendance included: Bishop Loughlin Memorial High School, Brooklyn, New York; Christian Brothers Academy, Lincroft, New Jersey; Christian Brothers College High School, St. Louis, Missouri; La Salle High School, Cincinnati, Ohio; Montini Catholic High School, Lombard, IL; St. John’s College High School, Chevy Chase, DC; and St. Joseph’s Collegiate Institute, Buffalo, New York. 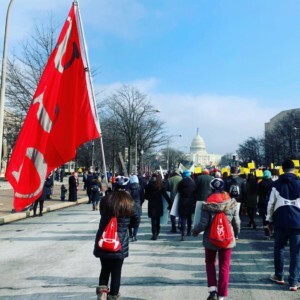 Other ministries that attended the march included: Bishop Kelley High School, Tulsa, Oklahoma; Christian Brothers High School, Memphis, Tennessee; De La Salle Collegiate High School, Warren, Michigan; De La Salle High School, New Orleans, Louisiana; Manhattan College, Riverdale, New York; St. John Paul II Academy, Boca Raton, Florida; and Totino-Grace High School, Fridley, Minnesota. Sixty-six people from four schools gathered together after the march for dinner and prayer hosted at St. John’s College High School.